The mission of Women's Medical Care, PC is to improve the health of the people and communities we serve and to manage illness with skill and compassion. 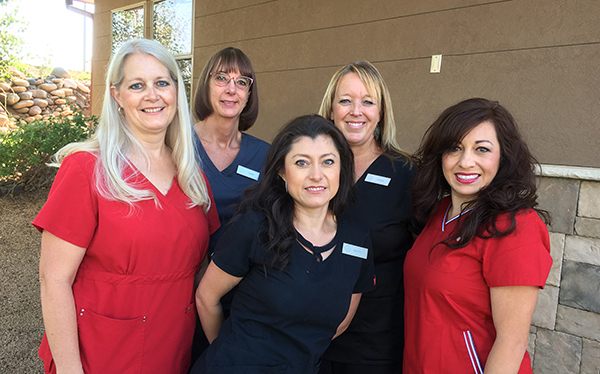 Thank you for choosing Women's Medical Care, PC, serving the OB-GYN needs of women in Prescott and Prescott Valley. Our practice is committed to providing you with a superior level of care in a friendly and personalized environment. Our practice is dedicated to providing OB-GYN healthcare for our patients, with pleasant surroundings in a state-of-the-art facility. Dr. Feingold and Dr. Fernandez are also certified BioTE® practitioners offering hormone pellet therapy to help men and women in Prescott and Prescott Valley balance their hormones naturally. We are experienced with BHRT, also known as bio-identical hormone replacement therapy, and understand how helpful it can be to our patients in their journey to balance their hormone levels. We are very proud of the relationships that we have established with our patients. The physicians and staff at Women's Medical Care, PC are focused on maintaining your trust and confidence. We are especially honored that our patients have referred so many of their friends and relatives to our practice. We look forward to making lasting relationships with every patient we meet. We hold ourselves to a high level of excellence in every aspect of our practice including Obstetrics, Gynecology, Hormone Pellet Therapy, and all of Women's Health. This includes the care we provide, the equipment we use, the health and safety protocols we follow, and the incidental services we offer. Above all, our aim is to provide each of our patients with an optimal Obstetrics & Gynecology (OB-GYN) experience close to home in both Prescott and Prescott Valley. Our physicians have completed extensive education and clinical training as well as specialized training in their area(s) of expertise. They are board-certified professionals who hold memberships and fellowships in many professional organizations. Driven to constantly improve their knowledge and the services they provide, our physicians frequently attend conferences and society meetings to learn about the latest advancements in the field and offer these techniques and technologies to our patients. In all of these ways and more, we are able to provide our patients with the highest quality of care. A key part of preventing a healthcare problem from progressing is being aware as to how these issues can develop. We strongly believe that patient education is an important part of the services we provide. In addition to talking with our patients during their exams, we have a ready supply of patient education materials such as brochures and information sheets in our office. We encourage our patients to read about their condition and ask us questions about how to stay healthy. Thank you for choosing us to be your OB-GYN health care providers! Adam Feingold, MD is a highly skilled board certified physician who specializes in prenatal care, high risk pregnancies, and women's gynecological health at Women's Medical Care in Prescott, Prescott Valley, and surrounding areas. With over 20 years of experience as an OB-GYN, Dr. Feingold is recognized as an accomplished professional in his field and highly respected amongst his peers. With his years of experience, he has numerous patients who have continued to rely on his personal obstetrical care and return to the office delivery after delivery! Dr. Feingold has several patients that he has had the privilege of delivering multiple babies for. He is now delivering babies for the patients he actually delivered! Whether the choice is minimally invasive surgery, laparoscopic surgery, bioidentical hormone supplementation, gynecologic surgery, same day hysterectomy, or simply the joy of a normal pregnancy and delivery, Dr. Feingold’s goal is for every woman to foster a sense of supportive well-being under his professional care and guidance. In July 2017, Dr. Feingold completed extensive training in bio-identical hormone replacement therapy and was awarded an Advanced BHRT Certification. As the demand for Hormone Therapy continues to grow, so does the demand for high-quality education outside the realm of standard board certifications. As the former Chairman of the OB-GYN medical department, he understands the importance of patient inclusion for easing fears associated with unknown medical terminology or procedures. He aims to make patients feel at-ease and well-informed regarding health options, surgical risks, or recovery expectations. In addition, he wants each woman to feel unconditional self-direction when making important medical choices. Born and raised in Phoenix, Arizona, Dr. Feingold’s credentials include graduating with distinct honors from the University of Arizona where he received a double major in Psychology and Biology in 1986. He attended Medical School at Marquette University School of Medicine, Medical College of Wisconsin. He completed his residency at William Beaumont Hospital in Royal Oak, Michigan where he was awarded the residency teacher of the year award in 1995. He then returned to Phoenix and joined Cigna Healthcare. In 1998, Dr. Feingold relocated to Prescott, and since then has been serving the Tri City area for over 20 years. Dr. Feingold is also the Medical Director of the Yavapai Laborist Program. 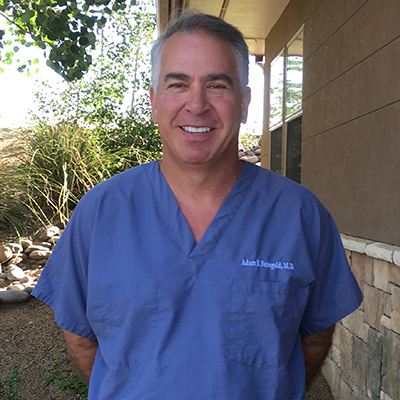 He is board certified by the Fellow American College of OB-GYN and has served as a member of the Yavapai Regional Medical Center Credentials Committee. His leisure time includes spending quality time with his wife and two children or actively involved in his hobbies whether stand-up paddle boarding, mountain biking or hiking. Dr. Luis A. Fernandez M.D. 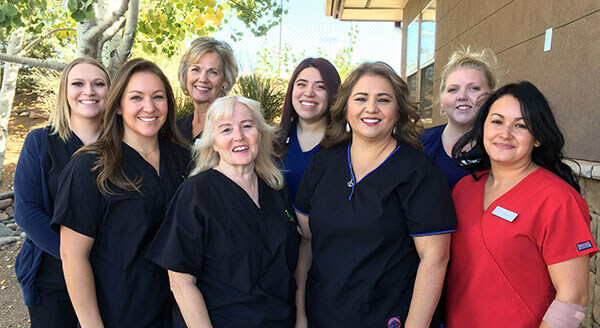 is a highly skilled Obstetrician & Gynecologist (OB-GYN) specializing in a variety of services aiming to improve and maintain the health of women in Prescott, Prescott Valley, and the surrounding areas. Dr. Fernandez has special interests in minimally-invasive surgical techniques and menopausal medicine; he has a special passion for obstetrics and delivering babies. Dr. Fernandez is board-certified by the American Board of Obstetrics and Gynecology and is a fellow of the American Congress of Obstetricians and Gynecologists. He is fluent in both English and Spanish. Dr. Fernandez is currently the chairman of the Department of Ob-Gyn at Yavapai Regional Medical Center. He has served on the Boards of multiple organizations and held leadership positions in both medical and community organizations. Dr. Fernandez is originally from Northern New Jersey and comes from a family of many physicians and surgeons. He attended Duke University, and after graduation earned his medical degree at UMDNJ-New Jersey Medical School. Upon graduation, he completed his specialty training in obstetrics and gynecology at Saint Barnabas Medical Center in Livingston, NJ. Dr. Fernandez was a founding member of a group practice in OB-GYN in Morris County, NJ with office locations in Morristown and Denville. 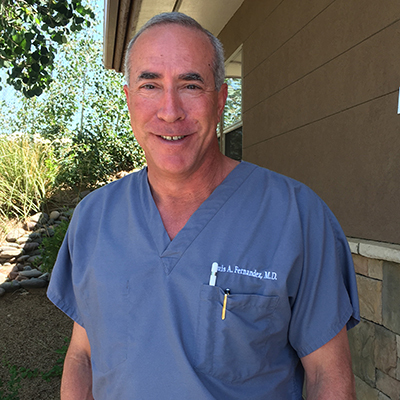 After 16 years in private practice he and his family moved to Prescott, Arizona, and joined Dr. Feingold and Women's Medical Care. Throughout his 26 years in practice, Dr. Fernandez has been passionate about delivering excellent and personalized care to his patients. Dr. Fernandez resides in Prescott with his wife and three sons. His outside interests include golfing, skiing, reading, and cooking. Dr. Mary Hogan, M.D., is an established and highly skilled physician with over 30 years of experience in Obstetrics and Gynecology. Dr. Hogan attended the George Washington University School of Medicine and Health Sciences where she was a member of AOA, the honorary medical society and earned her M.D. She completed a residency at the George Washington University Hospital and affiliated hospitals. 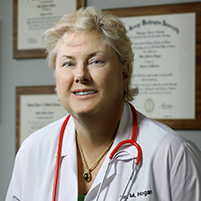 Dr. Hogan was well regarded in the Baltimore community, earning numerous accolades for her outstanding patient care. Dr. Hogan was voted “Best Gynecologist of 1997” in Columbia Magazine and one of the Top Docs by Baltimore Magazine in 2002. She was named to Chesapeake Magazine’s 2001 List of Favorite Doctors. She has served as President of the Medical Staff and Chair of the Department of OB/GYN at Howard County General Hospital. Dr. Hogan relocated to Prescott and joined Women’s Medical Care in 2017, where she continues to care for Gynecology patients. She has a special interest in menopause, hormone replacement therapy, laparoscopic surgery, well woman examinations and birth control counseling. Dr. Hogan is married to Dr. Michael G. Macon, M.D., they are both very excited about relocating to Prescott to be closer to family. 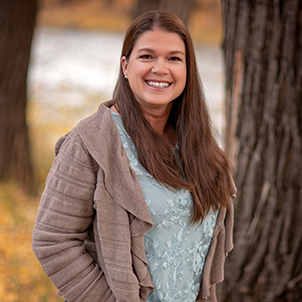 April Coates is a board-certified family nurse practitioner through the American Academy of Nurse Practitioners. She gained valuable experience during her nursing career working in Labor and Delivery, well-baby nursery, the Neonatal Intensive Care Unit, and in family practice. She has a special interest in and passion for women's health care especially during pregnancy. She provides prenatal care as well as comprehensive gynecological care during well-woman visits including PAP smears, STD testing and treatment, family planning, and breast cancer screening along with the diagnosis and treatment of a variety of women's health issues. April believes in offering her patients care with respect, dignity, and compassion while following best practice guidelines. April is from Southwest Colorado but has always had a love for the area around Prescott. She is excited to be relocating here. She enjoys spending time with her husband, children, and grandchildren. She is an avid horse person and loves to spend time training her young horses, competing in team roping, and trail riding. She also enjoys classic cars and hot rods and attending car show events with her husband.